Now it's your turn to learn easy yet deceptive coin magic you can perform anywhere and anytime. You will learn all the basics, all the fundamental moves, advanced techniques, and the great routines to follow. 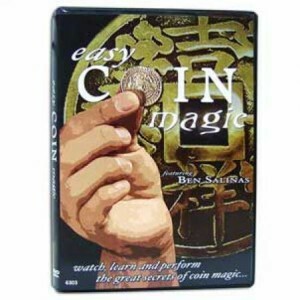 With the Teaching on this DVD and a little practice, you can be a stunning coin illusionist. This DVD contains more than 50 Effects & Routines!